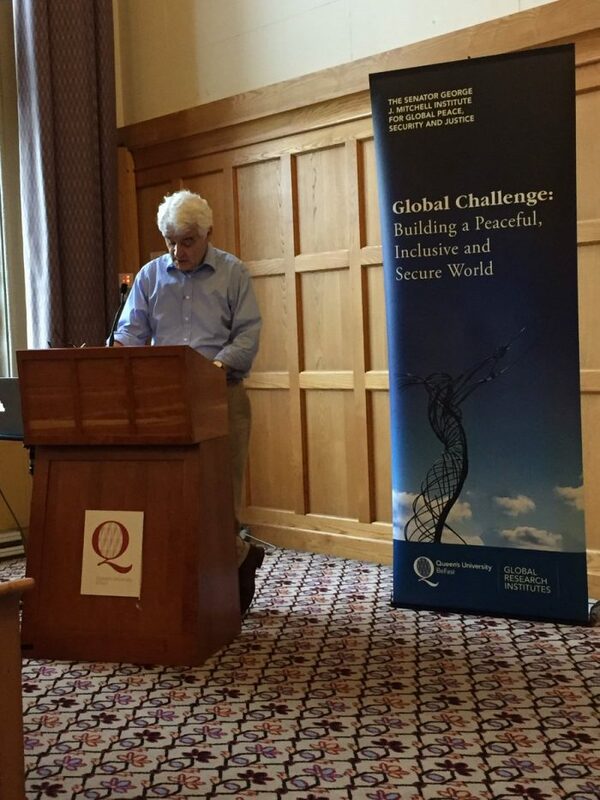 Journalist and documentarian, John Ware, recently gave the keynote speech at a postgraduate conference at Queen’s University Belfast. 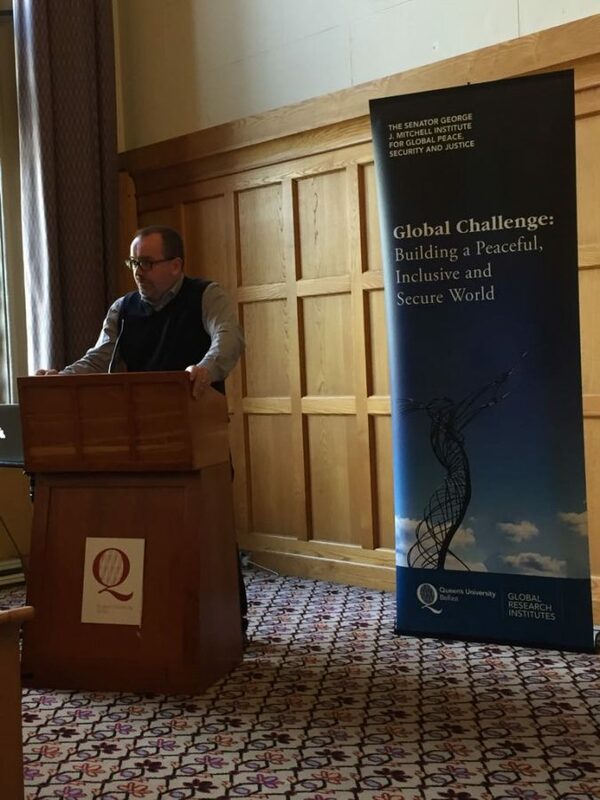 The conference was organised by the Mitchell Institute’s Doctoral Research Group and provided an opportunity for postgraduates from QUB and beyond to present their research. The text of the keynote, entitled ‘How Can Journalism Help Northern Ireland Come to Terms With ‘The Past’?’ has been published in conjunction with the Mitchell Institute and QUB’s Human Rights Centre, and can be accessed here. Professor Kieran McEvoy opened the conference, and postgraduate students presented a diverse and interesting selection of papers. These explored issues including the role of electronic music in the Iranian state, Ordo Luris and the pro-choice movement in Poland, and the role of archives and collective memory in Rwanda. 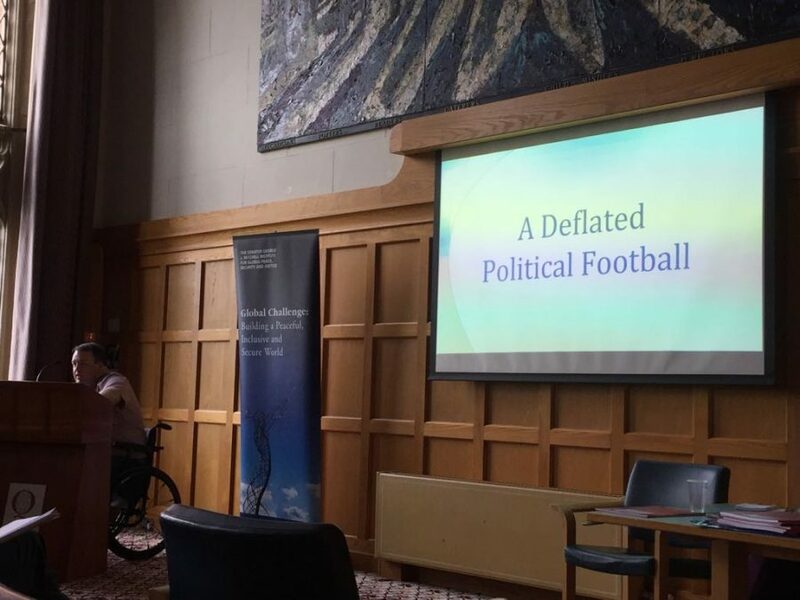 The Doctoral Research Group invited several speakers for a panel on Peacebuilding and Reconciliation, including Anne Cadwallader, who discussed the role of journalism and storytelling, and Paul Gallagher, who present on the Injured Pension Campaign.